Last Sunday took place the 1st race for French Nat. Championship 1/8. Heavy rain did not allow to celebrate the main final, so that the half-final result were taken into account. Last weekend took place the Montpellier GP in France. 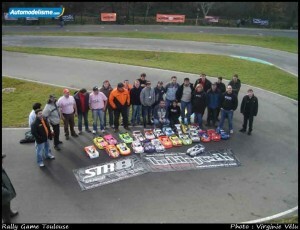 Most of the European biggest names in 1/8th buggy attended the anual race. 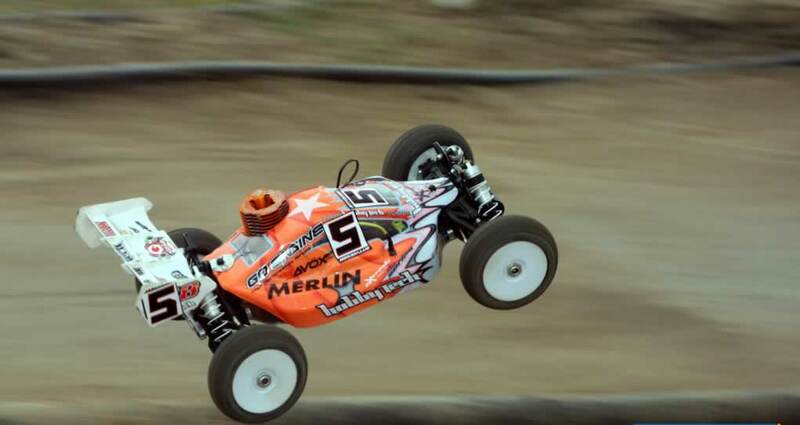 Yannick Aigoin TQ’ed ahead Reanud Savoya and Daniel Vega in his first race with the new Agama. This vide shows the “A” half final. 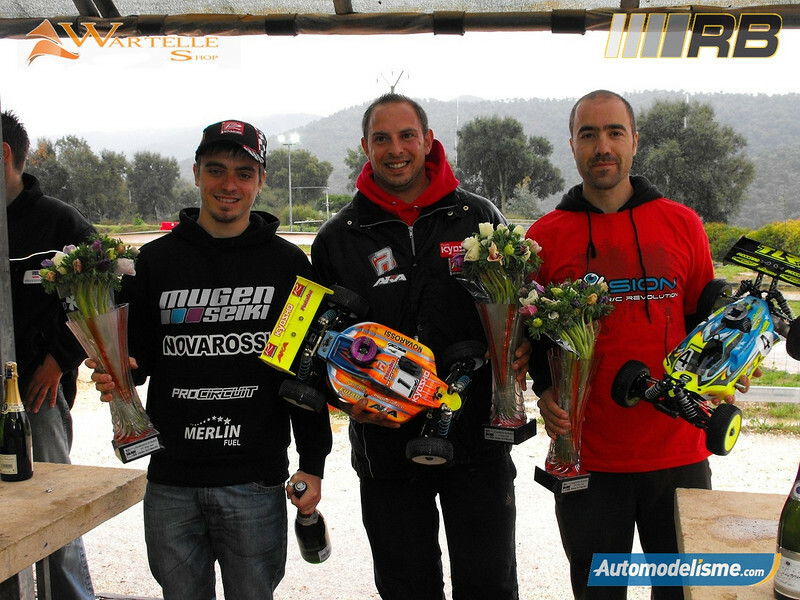 Last Weekend took place the Montpellier GP. Rcmag, has edited some videos about the race. 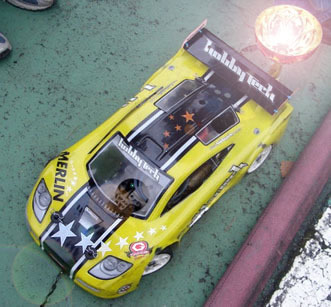 We have selected this one where you can see the local driver Stephane Mateo in action with his new Hobbytech STR8 V3 and Merlin Fuel. El pasado fin de semana se disputó el GP de Montpellier 2009. Rcmag, tiene varios vídeos en su página, que pueden dar una buena idea del layout del circuito. Rally Game Challenge 3 Rd. 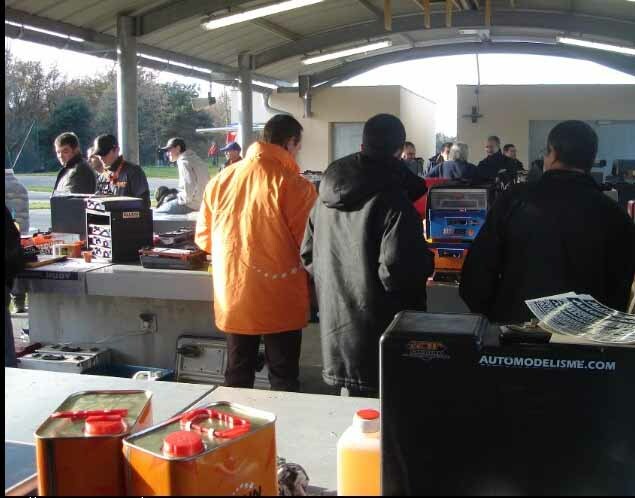 Tarbes in Hautes-Pyrénées Area, held last weekend the 3rd. and last Round of the first Rally Game Challenge. After the 2 previous rounds at Toulouse and Castelsarrasin , the 3rd. Round was definitive to crown the final Champion. The fight for the overall victory was really open, since over 7 drivers had real chances. 1. Stéphane Mateo –STR8 RG / Go / Merlin Fuel. 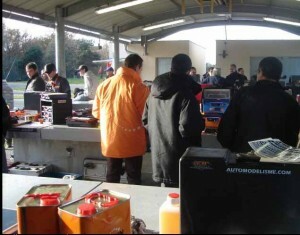 The 2nd Round of the French Rally Game Challenge, took place Last January, 18th at Castelsarrasin. The specially wet day turned out every corner in the track into a mini-drifting exhibition. 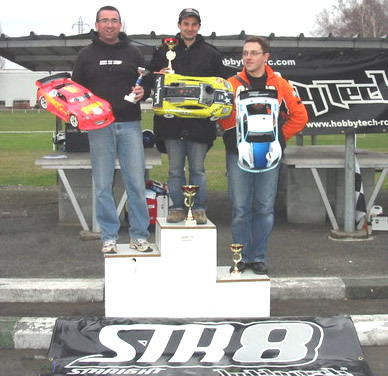 Jérome Delcourt made the Hat Trick, taking the TQ, Overall fastest lap and final victory. 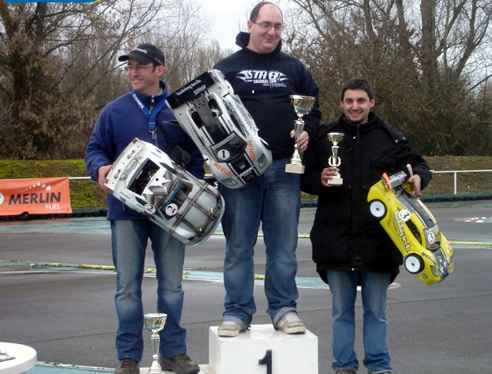 Stephane Mateo won the first Rally Game Challenge Round last December in Toulouse. The 3rd round will take place at Tarbes next Feb. 1st. 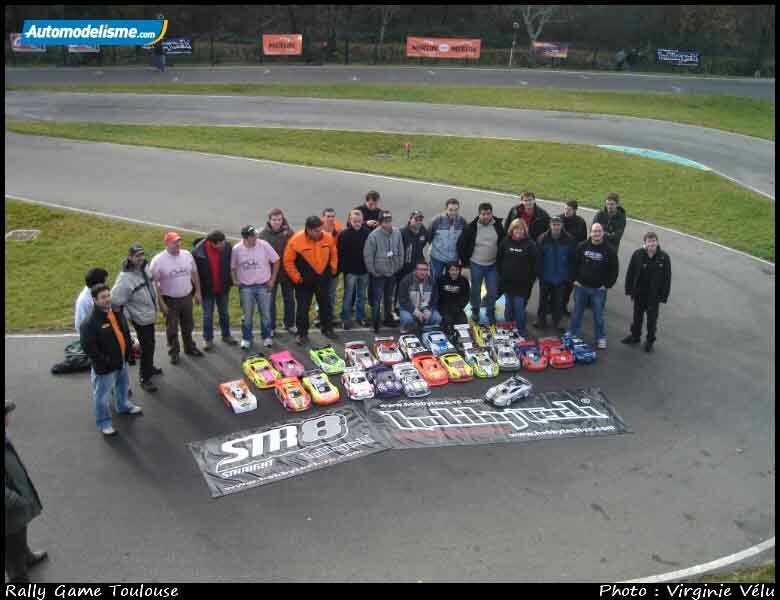 The GTB RC Track in Toulouse, held the 1st. Rally Game Challenge last December 7th. 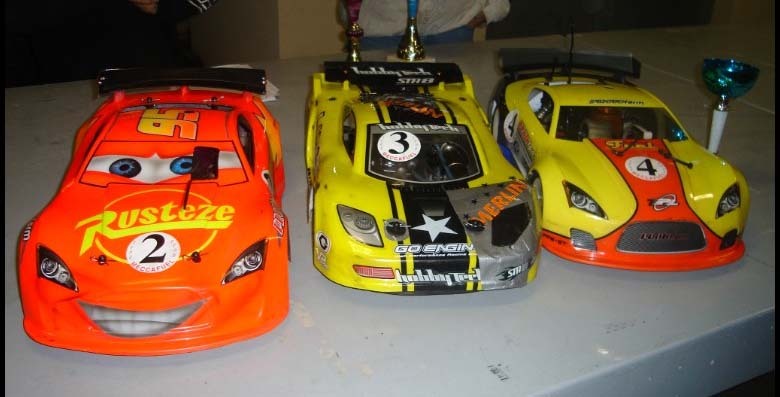 This Race held also the the first official race for the new Rally Game Model from Hobbytech, the STR8-RG,final winner and TQ of the challenge. 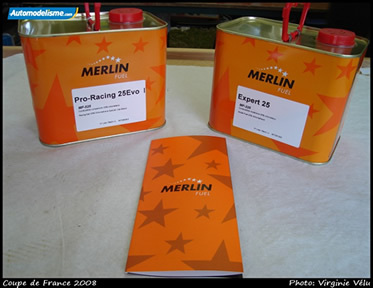 Merlin Fuel en la "Coupe de France 2008"
Esta novedad no ha pasado desapercibida para los reporteros de Automodelisme.com que han hecho un pequeño reportaje que se puede encontrar en este link.